There was a time in Belfast, Maine when a number of companies manufactured beverages, mostly sarsaparilla which was then thought of as a “cure all” or having medicinal qualities. In the late 1880s, Dana’s, Skoda’s, Dalton’s and Leon’s were making sarsaparilla in Belfast and at the height of production, producing over 500,000 bottles per year. There was also the Belfast Beverage Company, a soda bottling company that for over 30 years was located right along Belfast’s downtown waterfront. Fast forward to 2014 when a local businessman had a dream of recreating a part of local history and commerce, and started making 100% natural soda syrups for use both commercially and at home, as a way to liven up drinks and desserts. 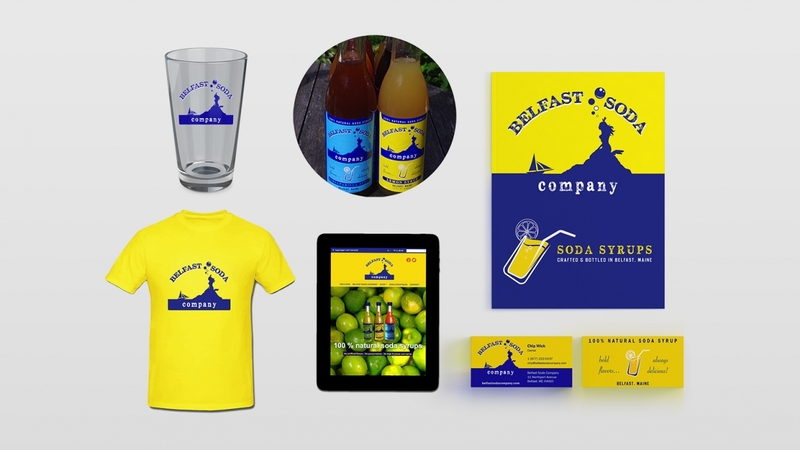 Belfast Soda Company hired Bonneville Consulting to create all of its business and marketing collateral including a logo, business cards, labels, packaging, rack cards and a robust e-commerce website.